I am the mother of 2 wonderful children! I have 2 precious grandbabies! I just hoped and prayed for a happy and healthy baby. I get to see them quite often in person and multiple times weekly via FaceTime. The best thing is experiencing a love like no other, a love that I didn't even know was possible. Trying not to spoil them, it's so hard! Anything and everything. Just being with them puts a smile on my face! 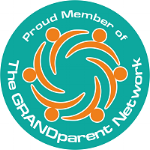 What is your favorite thing to do when visiting grandchildren at their house? Same as above answer. Disney, Universal, Grand Canyon, Europe, camping, etc...I can't pick a fav. By calling, texting, and using FaceTime. Enjoy every minute you get to be with them, life is so short, and they grow up way too fast! I blog at Grammy's Grid, https://grammysgrid.com. 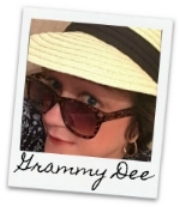 I’m a grandmother who blogs about things to amuse, inform, inspire, and make you laugh! Do you have other works you'd like to share (published pieces, charitable causes to promote, home biz, etc)?